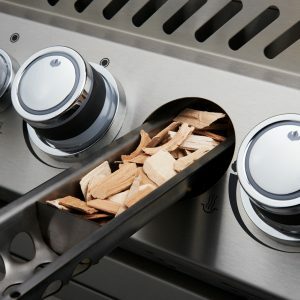 Direct grilling, searing, and sautéing aren’t the only things you can do like a PRO on this grill. 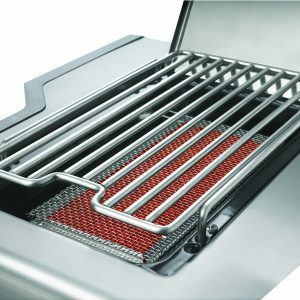 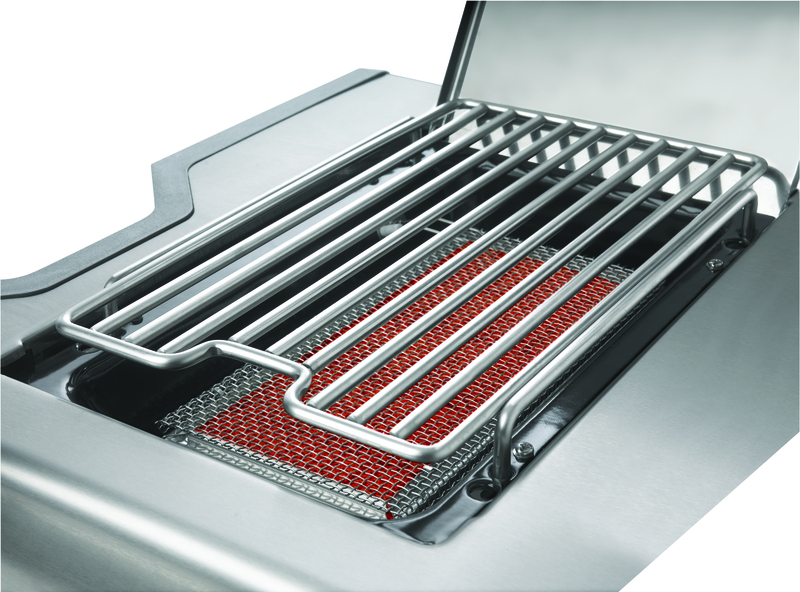 Napoleon has pushed the envelope again when it comes to innovative grill design. 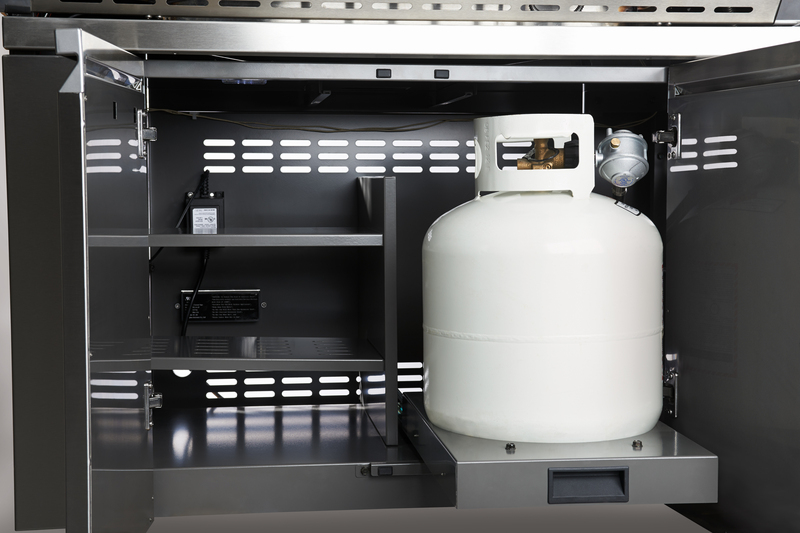 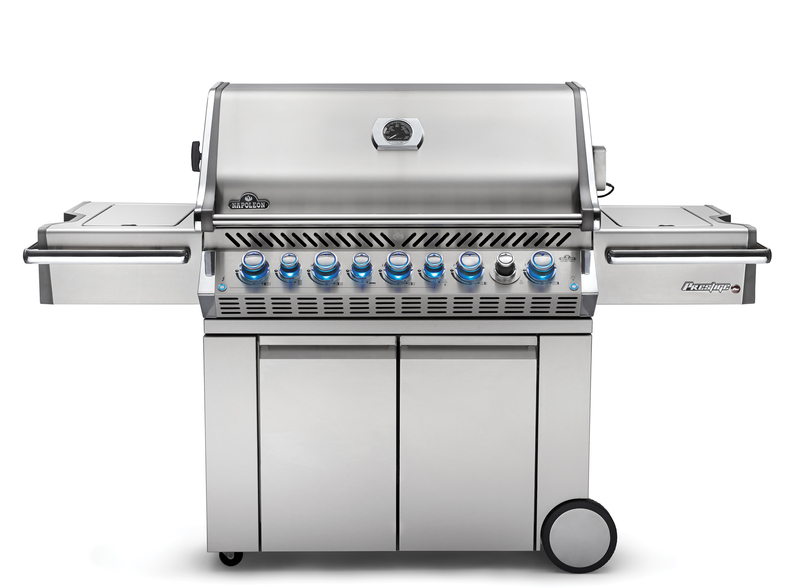 The PRO665RSIB Gas Grill comes with an integrated smoking tray that even has its own dedicated 8,000 BTU burner. 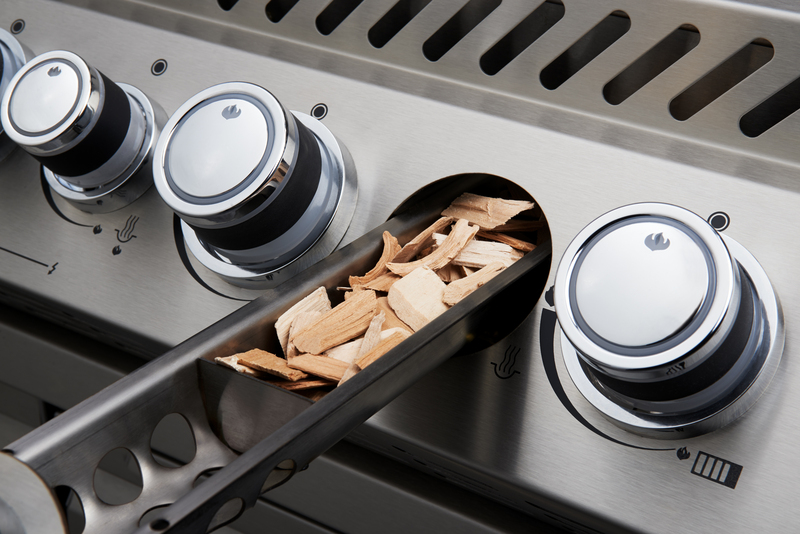 Place soaked wood chips into the smoking tray and turn your PRO665RSIB into a smoker. 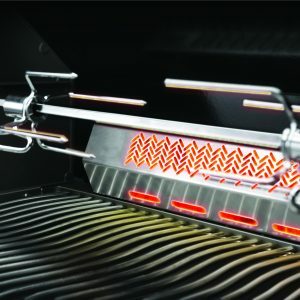 However, the innovation doesn’t stop there, because this grill also has built-in halogen lights to illuminate the grill for late evening grilling ease. 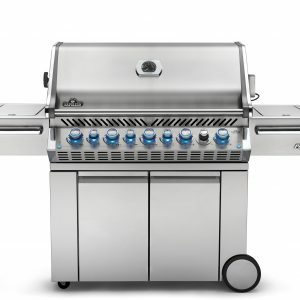 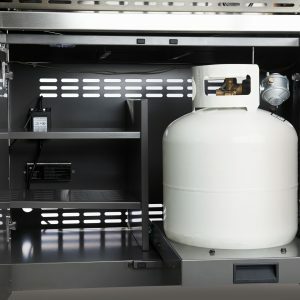 There is even a power bar built-in to the grill base; this powers the lights and leaves you with available outlets for the rotisserie or any other electrical device you may need. 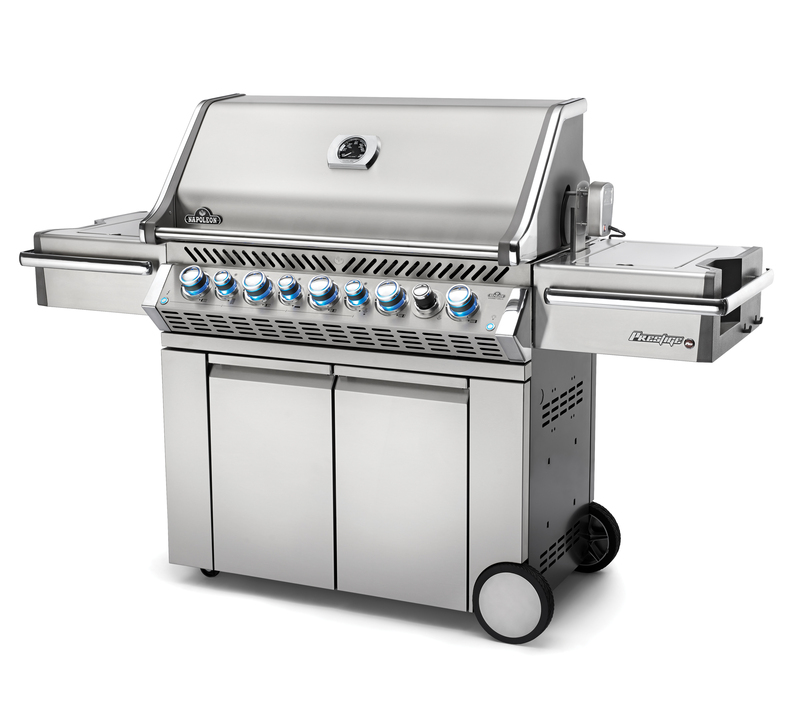 The PRO665RSIB Gas Grill by Napoleon also comes with a commercial quality rotisserie kit. 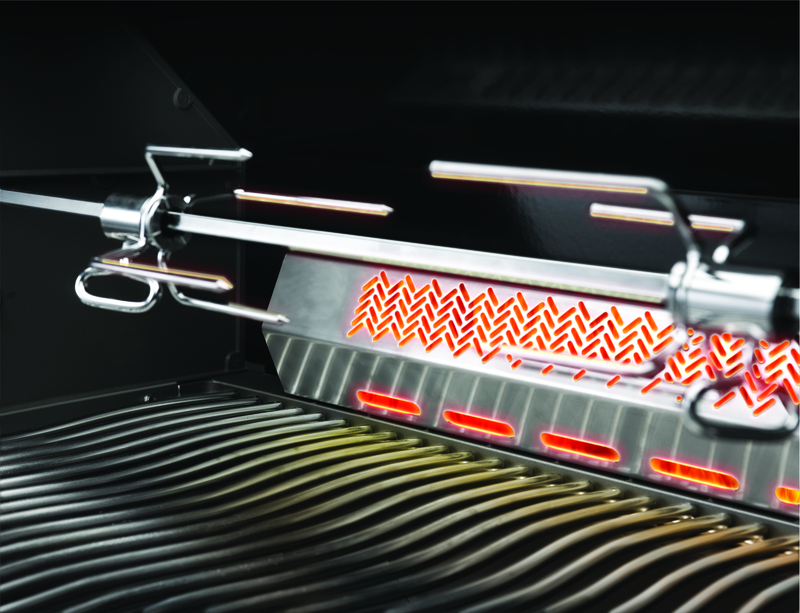 The infrared rear burner puts out an amazing 18,000 BTU’s of power, helping you to create professional tasting rotissed meals.